The Lover is the archetype men find most difficult to access without experiencing frightening emotional states. 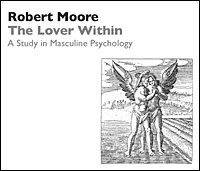 The Lover encourages an unbounded connectedness to life through powerful feelings, but if a man's Lover is poorly developed, he may find himself alternately promiscuous and isolated, emotionally vulnerable and interpersonally exploitative, impulsive and addictive, yet afraid of his passion. Accessing Lover energy properly, a man feels enthusiastic and compassionate about his work and relationships. Celebrating the beauty of nature and the physical world, the mature Lover becomes a guardian of the Earth.